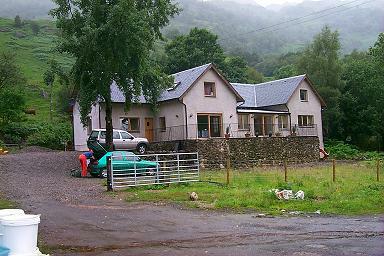 Having arrived from Glencoe we spent the night at Ardvorlich House near Ardlui (above left, phone +44-1301-704258) at the head of the loch. 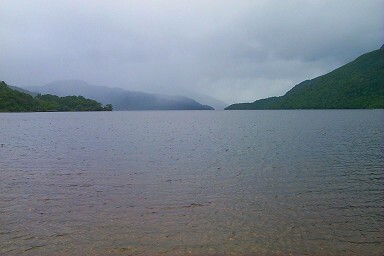 The view from it over Loch Lomond is very nice (above right), unfortunately we couldn't really enjoy it due to the bad weather. 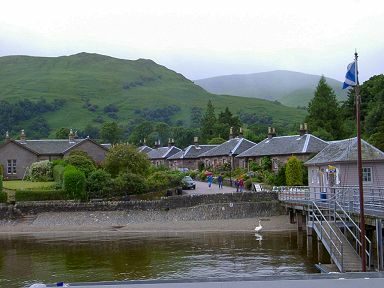 The next morning we drove along the "bonnie banks of Loch Lomond", with a stop at the pretty village of Luss (below right). 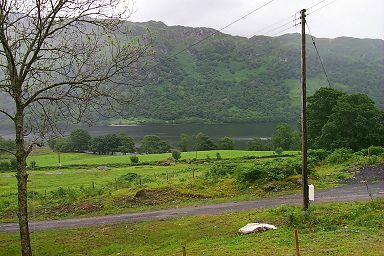 The Scottish TV series "High Road" is filmed here, although we didn't see any activity while we were there. 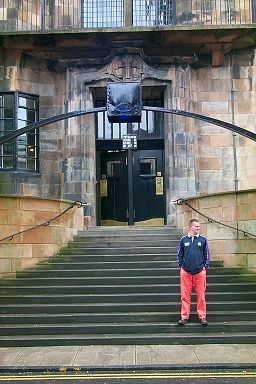 After two weeks in the highlands and on the islands we finally returned to the cities: Arrival in Glasgow. Busy streets (picture left) and large buildings. 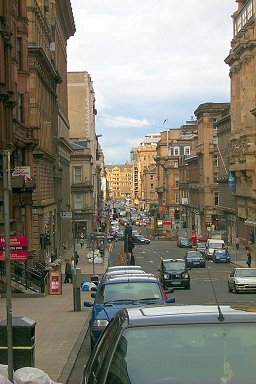 It took a moment to get used to it again, but then we used what Glasgow has to offer. After some serious shopping it was time for some culture. 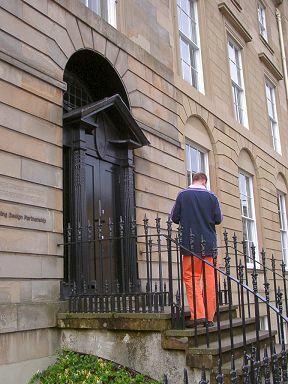 First the Charles Rennie Mackintosh trail with the Glasgow School of Art (above left) and 5 Blythswood Square (above right). 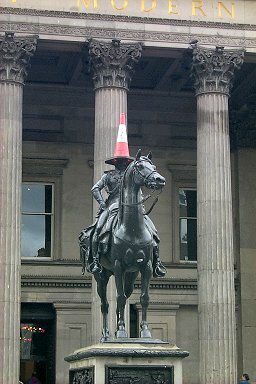 We also visited the Gallery of Modern Art, where the statue outside is wearing an interesting hat in the shape of a traffic cone (below left). 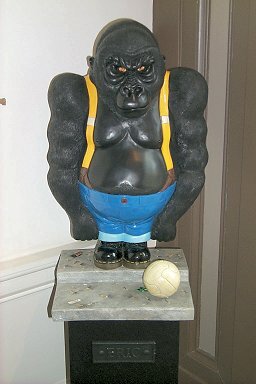 Inside we found exhibits like Eric, the gorilla who seems to be interested in football (below right).